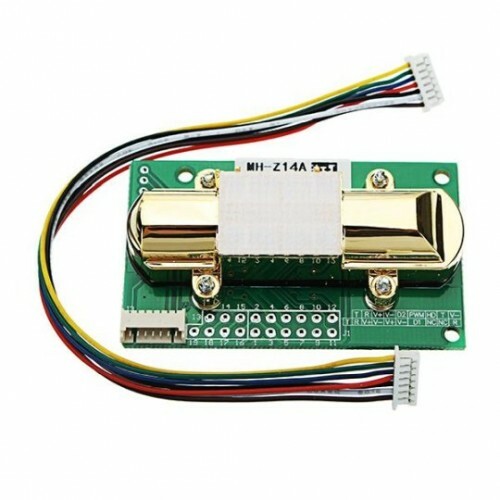 MH-Z14A Infrared CO2 gas sensor module is very easy to use sensor module. This module provides output in PWM, UART as well as analog voltage thus it can be interfaced to your Microcontroller in various ways. 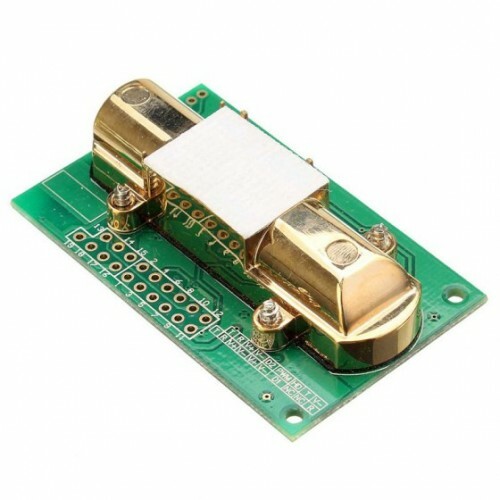 MH-Z14A NDIR Infrared gas module is a common type, small size sensor, using non-dispersive infrared NDIR principle to detect the existence of CO2 in the air, with good selectivity, non-oxygen dependant, long life. Built-in temperature sensor can do temperature compensation; and it has digital output and analog voltage output. MH-Z14A NDIR Infrared gas module is applied in the HVAC, indoor air quality monitoring, industrial process, safety and protection monitoring, agriculture and animal husbandry production process monitoring. The module is light weight, small size, long life, good stability and so on. This module can be widely used in HVAC and air quality monitoring, industrial process and safety monitoring, agricultural and livestock production process monitoring, and fresh air system carbon dioxide detection. 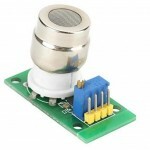 MH-Z19B NDIR infrared Carbon dioxide gas moduleMH-Z19B is a very easy to use Carbon dioxide (CO2) ga..
MG811 Carbon Dioxide Gas Sensor ModuleCarbon Dioxide (C02) Gas sensor ModuleThe CO2 sensor are..